We have a nice old staircase with iron balustrades. 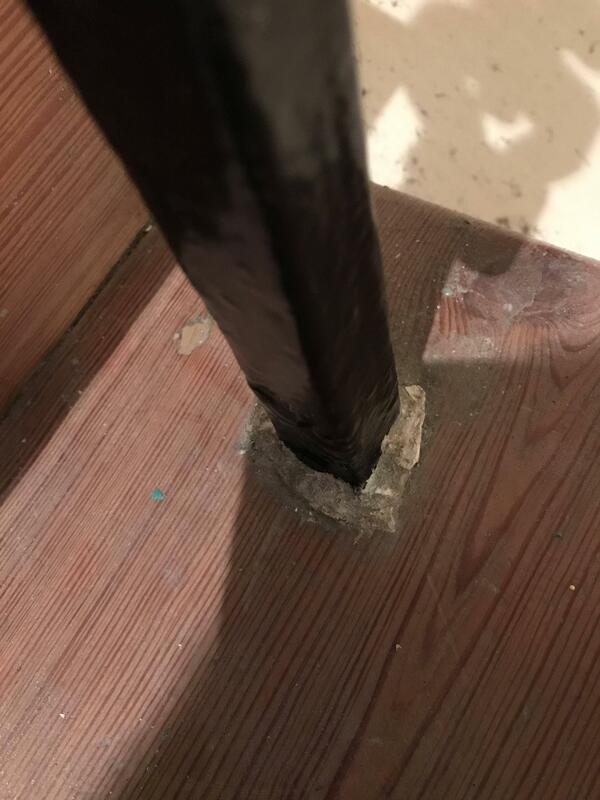 But at the bottom of each is some horrible fixing, we are unsure what it is for - maybe a build of paint as the stairs were painted at one point in the past from previous owners. Does anyone know what it is and if it can be safely scraped away? Yes you can clean it up, but hopefully what is under it looks better that what you see now. It looks like somebody's sloppy caulk job. Not the answer you're looking for? Browse other questions tagged wood stairs cast-iron or ask your own question. How can I build a custom stair case in a small space? Should a skirt board on a stair case be installed over the treads? How to finish wood stair treads? How could I address this dead space between my stair case and this wall?